Help you edit your stunning VR video with powerful editing tools. Professional level omnidirectional cameras are capable of covering the entire visual plane. While most professional cameras can have a range of 180°, Having 360° of vision insurance a full panoramic view. Virtual reality experiences can involve the use of VR devices whereby the user will control the angle of the shot. Online experiences are also making it easy to scroll around an image as the film is playing on screen. As users click and drag to the area that they want to see at given time, they can enjoy seeing every side of the shot in a full panoramic view. If you are a filmmaker that interested in finally creating some unique VR experiences or trying 360° cameras, it is important to work with the right tools. The Gopro Odyssey is one of the premier 360° video cameras available. The nice part about this new video camera is that it was made in partnership with Google for use with YouTube and Google services. This Gopro rig takes 16 of go Pro 04 Black edition cameras and links together their internal microphones for panoramic sound and video capture. The cameras are all synced together to ensure that they function as one and this means there is no need for stitching video together. When combined with 16 go pros, this system is relatively light and can still be mounted on cars, backpacks and more. The price for this system is around $15,000. MoooVR is a VR shooting camera rig that comes with five mirror list cameras capable of shooting in a 360° view. Usually equipped with Canon DSLR mirror list digital cameras, this camera rig combines five cameras and links them together to create an unprecedented 360° view. This rig is relatively convenient to operate an extremely robust for a wide range of shooting situations. With the use of a 7.5 mm fisheye lens which is patented by Mooovrig, each camera can film 180° and an angle without the need for a separate adapter. This creates super wide quality views which can be stitched together for a superior 360° image. Including the cost of the cameras and accessories, this rig can total into tens of thousands of dollars. Lytro Immerge is a company that creates consumer digital cameras which can continuously refocus after taking each photo. Using the same technology the company created a 360° VR camera. With a huge storage database as well as one of the largest light fields on a 360° camera, this is a powerful piece of equipment. Lytro Immerge is also backed by specially created workflow and editing software that comes as part of the cost of the camera. It's currently in a prototype stage but this camera is capable of creating cinematic quality 360 degree video in one easy to set up device. Facebook surrounds 360 is a 3-D 360° camera available for download on Github. This camera rig combines 17 different cameras in an aluminum rig which can be assembled from 3-D printed materials or a schematic found online. Using specialty fisheye lenses on top of 3 cameras improves the view. A global shutter setting also ensures that all of the cameras are capturing data in sync. By using the code and the cameras speced for use with the system, users can have a fully functioning rig that captures immersive 360° cinematic experiences. 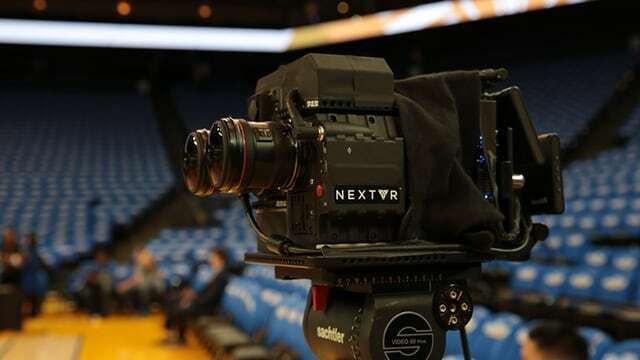 NextVR is a camera and virtual experience company that is filming a variety of events using their 360° camera technology. Next VR uses a specialty application to harness the power of accelerometer data in many smartphones or play VR experiences on PCs. The captures are using special camera rigs and working with Fox sports, international champions league and live nation to capture concert experiences, boxing and more around the world. Next VR has their own production truck for VR experiences, patented HD VR cameras and more. The professional tools that next VR is using are RED 6K cameras in a 360° VR camera rig. Next VR captures some sports events using 3-D cameras with 180° of view but their 360° VR cam retails for around $180,000. This is amongst the highest resolution equipment available on the market today for 3d 360° capture. Video Stitch Orah 4I is a camera system available for close to $3600 US. Video Stich created a 4K camera that has live streaming ability and 360° VR production. Production workflow technology organizes images coming in from small cameras put together in a rig. Orah can stream in real time at 4K resolution directly to virtual reality headsets. 3-D sound capabilities also make users feel as though they are really in the scene. This is an easy solution for streaming and capture. This version of the go Pro is a 360° video hardware and software solution. Available for $5000 US, this camera rig incorporates 6 Hero 4 black edition gopros. The rig then links together all of the cameras and insurers a precise level of synchronization. Rather than having to stitch images later together in post production, all the images can be synchronized down to the pixel. 8K capture is available in still images with 4k available for strong video capture. The rig and the cameras also ship with Kolor software for editing. The Nokia OZO is one of the most expensive professional rigs available right now. With eight different lenses and a 195° angle with a 100° crossover, this capture device can collect a full 360° spatial video as well as capture audio from every direction. The coolest part of this system is that it's light enough to be strapped to a drone and it includes an internal 500 GB hard drive capable of 45 min. of video capture with full portability from the battery. With this type of convenience and professional capture, the Nokia does command a very high price however. The average price for one of these gnocchi cameras is around $60,000. 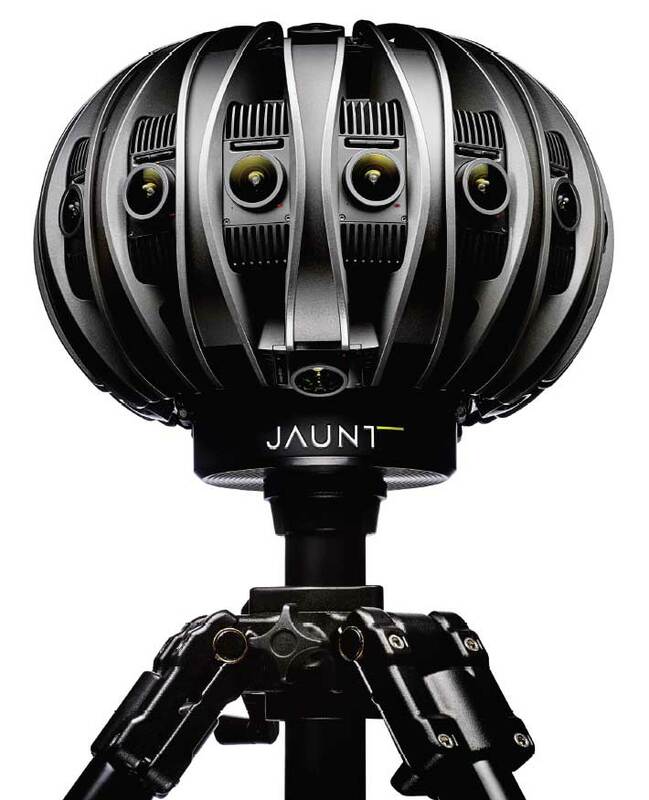 Jaunt one is a specialty camera integrated into a 360° camera design. Jaunt design their own camera but was using go Pro and earlier designs for the device. The Jaunt camera does require a special contact in order to get access to and it usually reserved for professionals. Jaunt isn't currently making their cameras available to third parties for sale or rental but you can work with Jaunt engineers to get access to the camera and its superior stitching technology. This is one of the best professional tools on the market right now for meeting the requirements of a top quality Hollywood director. The camera utilizes 42 linked black magic micro-cinema cameras. Each one of these cameras is capable of shooting in 4K and 3-D. The 24 inch frame can link the cameras and have them systematically shoot in every possible direction. The rig can be swapped it for any type of camera on the market, but these are preferred amongst many future filmmakers for their unparalleled quality. I don't think any professional considers Go Pros Professional cameras? I would also add http://www.z-cam.com to this list. It's a professional quality camera that is compact in size with superior low light quality.